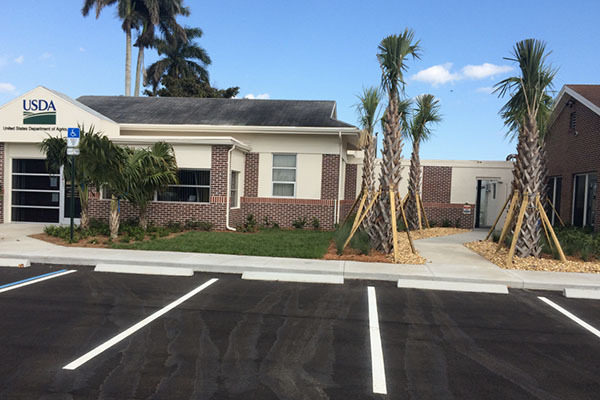 Hydra Engineering & Construction was awarded this project, located at the Sugar Cane Field Station in Canal Point, Florida. This project included a complete roof replacement, demolition of the exterior ductwork insulation, recoating the ductwork with an approved moisture barrier, installation of a make-up air unit on the roof, repairs to existing exhaust fans, demolition of interior ceiling, ductwork modifications and testing and balancing system. 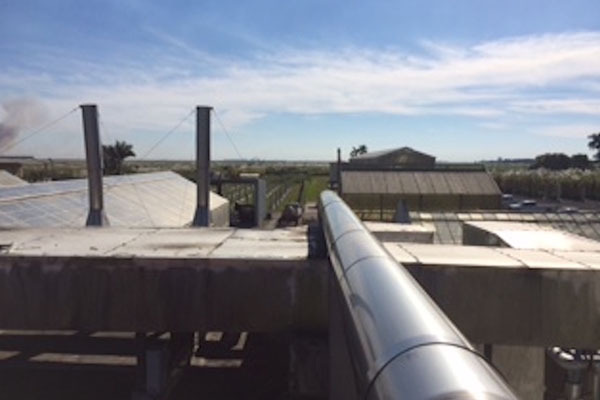 Hydra Engineering & Construction was awarded this project, located at the Sugar Cane Field Station in Canal Point, Florida. This project included repairing the existing parking lot, drainage, sidewalk, retention pond, utility upgrades, landscaping and building exterior modifications (aluminum canopy walkway).